Padmagarbha Dasa: On a morning walk in Mayapura in 1975, Srila Prabhupada mentioned that World War III would be starting very soon. He was even quite specific as to who will start it, and where it will begin! In various conversations thereafter Srila Prabhupada made further reference to that fact. In response to Srila Prabhupada’s revelation several GBC as well as individual devotees reacted by either purchasing farms, or by moving to an already established farming community. Some years went by and Srila Prabhupada ‘soon’ did not correspond with our expectation of soon. Here we are, thirty years later, and all seems well! Some of the farms established back then are no longer existing and those that do, are struggling to maintain themselves. Living on a farm turned out to be more, or perhaps less than most of the Prabhus who attempted it had expected. [‘Simple living, high thinking’ does not mean ‘living and high thinking’]. Those of us, this writer included, who appear to have a bit of a doomsday perspective, and who now and then bring up the matter of WWIII, find others most disinterested, to the point of being annoyed by this subject. Don’t be so negative, Prabhu, is the general response. 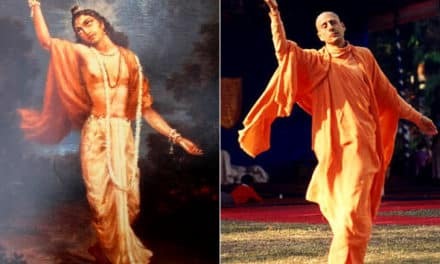 However, when reminding the Prabhus that one is only repeating Srila Prabhupada’s comments on this matter, it is most common [almost always], for devotees to minimize Srila Prabhupada’s warning to a mere observation [speculation] based on the political circumstances of that time. Srila Prabhupada’s statements regarding the coming world conflict are with practically all devotees I have spoken to, as well as those who expressed their views in this matter on the internet, given similar weight and relevance as the doomsday predictions made by the various seers and psychics throughout the ages. For those of us who are cursed with this most unfortunate mentality, I would like to point out that one of the many, many qualities of the pure devotee is Tri Kala Gya he has full knowledge of all three time periods, the past, the present, and the future! 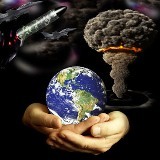 Now and then I have spoken to devotees who do not question the inevitability of WWIII; however, those Prabhus like to think of this event taking place somewhere in the distant future, a year so far off, that making any kind of serious preparations [material as well as spiritual] is viewed as premature, basically a waste of their time and resources! This unfortunate attitude, in part is being justified by the apparent lack of a date having been given by Srila Prabhupada, other than soon. However, in a recently found BTG article that Srila Prabhupada had published in 1956 in New Dheli, entitled “Blind Materialism” he denounces this present machine age and its resultant gross materialism. 2. Is there any mundane evidence, political and/or militarily that would corroborate the scenario as well as the time frame for WWIII, as laid out by His Divine Grace, Srila Prabhupada? Before attempting to answer these questions I wish to acknowledge that I am not claiming to have the definitive conclusion to the second question. The first question, however, I believe has already been answered by Srila Prabhupada, through numerous instructions. 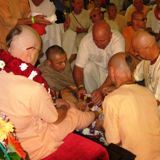 Over the past ten years I personally have been fairly active in attempting to motivate devotees into moving to one of the already existing Vaisnava farming-communities, along with stressing the need to strive for self-sufficiency. Not only have I failed to succeed in convincing even one family to do so, but I also have witnessed the general unwillingness of those who have already moved to a farm, to prepare for self-sufficiency, to prepare for the day when all we get to offer the Deities, all we get to honor ourselves, is that which we have grown! As I had mentioned previously, most Prabhus brush Srila Prabhupada’s warning aside as something no longer applicable. After all, the cold war is over, Russia is no longer our enemy! And those who do not dare to verbally disagree with Srila Prabhupada [although they do so by their in-action], those Prabhus either project this event way off into the future, or they repeat Srila Prabhupada’s reply of, just chant Hare Krsna, to the question, what are we to do when this war comes? Srila Prabhupada first brought up the subject of WWIII In 1975, other than the recently discovered BTG article of 1956. In 1976 Srila Prabhupada instructed via a letter for all of ISKCON’s Grhastas to move immediately to the various established farming-communities. He also expressed this desire personally to several GBC’s, Ramesvara dasa having been one of them. Most unfortunately, however, that order, the letter of 1976 somehow or other was never shared with the rest of our society. Just like Srila Prabhupada’s request for all his disciples to be at his side in Vrndaban during his last days with us, so also this order perhaps was viewed by the prominent members of the GBC as impractical and/or too disruptive for our society. So far I have not been able to locate a copy of this letter, not even on the Folio! Fortunately I have recently [within the last two years] spoken to two of our God brothers, Vamanajana dasa, and Yadunandana dasa [both residing presently in New Dvarka], who have acknowledged to also having read Srila Prabhupada’s 1976 directive on this matter. Therefore, Srila Prabhupada’s response of, just chant Hare Krsna to the question, what are we to do when this war comes must be seen within the context of his order of 1976, for all Grhastas to move to the Vaisnava farming communities, and there to become self-sufficient. Had those instructions been followed, we would be prepared for WWIII, and all that would be left to do at the occurrence of this event is to chant Hare Krsna! As to the answer to the second question, is there any mundane evidence, politically and/or militarily that would corroborate the scenario as well as the time-table for WWIII, as laid out by Srila Prabhupada? In short YES, but the details shall be addressed in the near future!